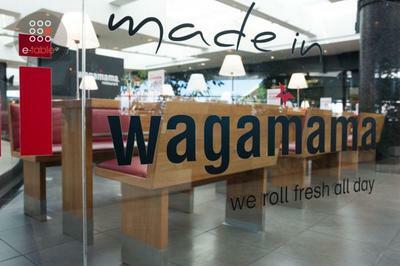 Wagamama restaurant inside the Golden Hall shopping centre offers japanese fusion cuisine in a modern space with lounge atmosphere. 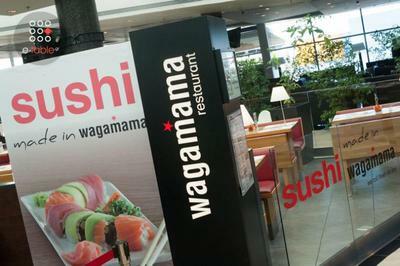 The world's most famous japanese restaurant, is well known for the top quality flavors of Far East. 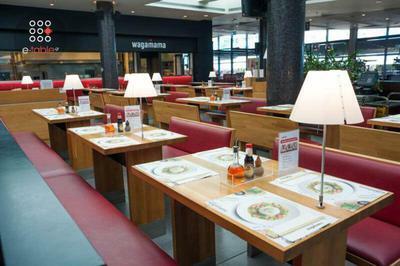 At Wagamama you can enjoy your lunch break and a casual dinner. The courteous staff is always at your disposal. 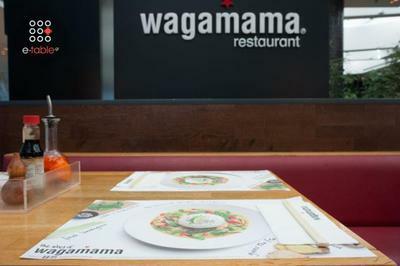 Here, you will try the new food trend, the ramen soups, ginger chicken udon noodles, teriyaki soba with pork, beef, chicken, salmon or shrimps, fried rice with chicken and shrimps or fried tofu, fresh sushi, many nutrition-rich juices and Asian beers. 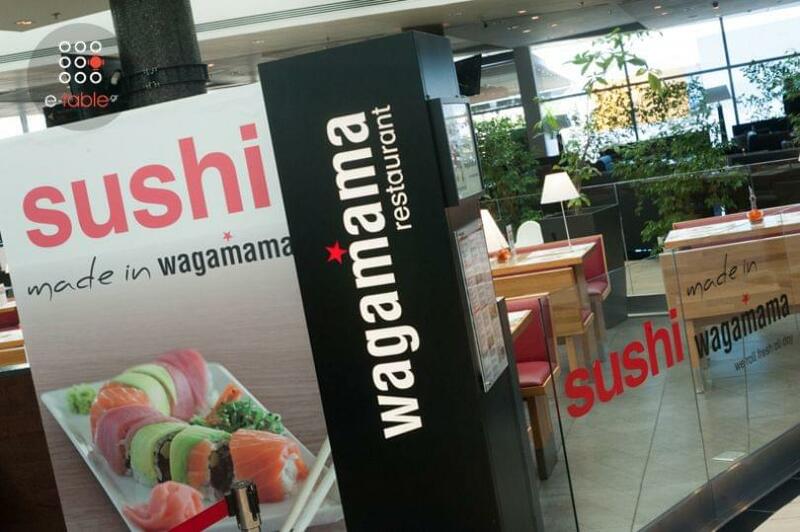 Wagamama is a great family place to eat where you can also use the shopping centre's parking. 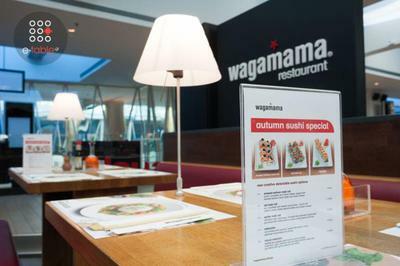 If you want a unique dining experience in one of the world's most famous japanese restaurants, choose Wagamama inside the Golden Hall shopping centre. 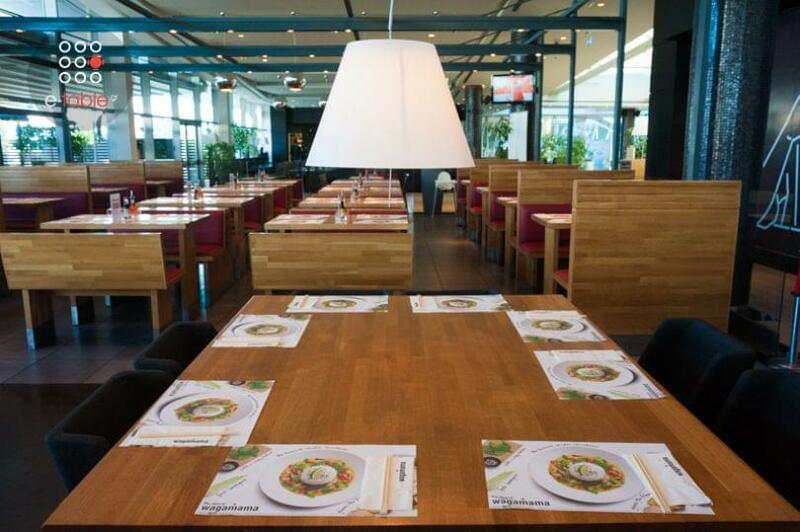 Make a free reservation and gain e-table's discounts and special offers.